Closet Factory has franchise opportunities nationwide. They are individual franchise territories in major metropolitan areas and often encompass several counties. If you are interested in becoming the owner of a Closet Factory franchise, please contact us and we will be glad to send more information to you. As a franchisee of Closet Factory®, you have the advantage joining an innovative network with more than three decades of in-home custom closet sales and franchising experience and the power of one of the industry's most admired and recognized brands. Each franchise is an independent location. Your clients will benefit by purchasing from a local business that has been built with the experience and success of a national company. Our proven business platform, comprehensive training program, brand recognition, national support and the most unique and stylish product line in the industry all contribute to a formula for success. We invite you to explore our website to see what kinds of projects we do for clients. You would be able to do the same in your facility, far surpassing what other companies in your market offer. 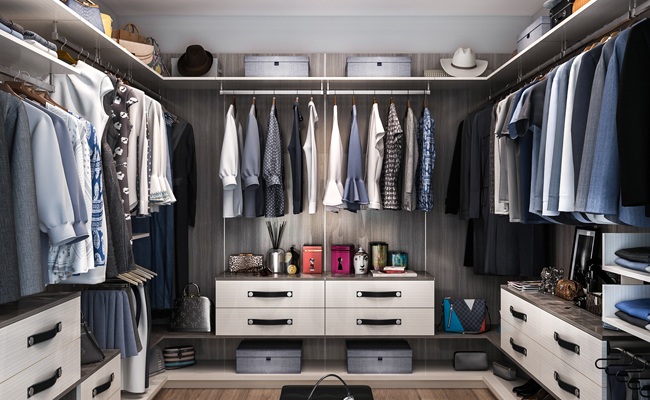 Over 30 years ago Closet Factory became a leader in the industry by promoting a floor-based closet system over a conventional wall-suspended systems. We're still in that leadership position and all of our competitors attempt to follow in our footsteps. As the owner of a Closet Factory franchise, you stand to gain that position of leadership and benefit as we continually improve and innovate. Other companies offer a floor-based system as well as simulated wood decorative treatments in their effort to keep up with us. However, no one offers as much as we do. We have found that style and fashion in this industry involves more than simply changing the color of pre-fabricated pieces–it is about having the largest range of product on the market. 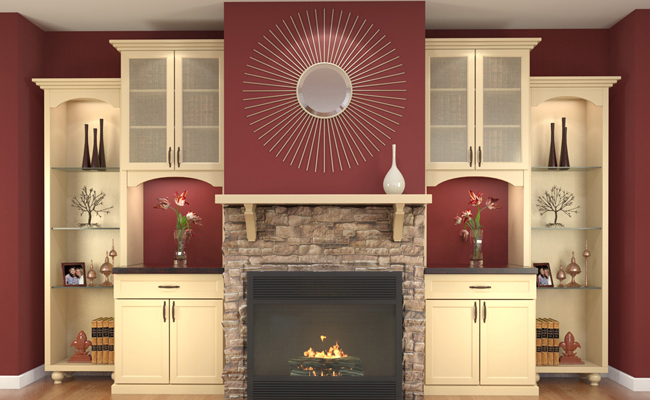 From melamine materials to custom stained or painted woods, no one comes close to the extent of our offerings. We understand that by catering to the tastes, needs and budgets of our clients, it is our customers who benefit. Each one can have what they want based on their own needs and desires. Closet Factory's proprietary Designer Sales Training series provides you and your sales staff with all of the tools necessary to design and sell everything we offer. We have developed highly effective systems that cover every aspect of the business. Our ongoing operational, design, advertising and marketing support will help you build a robust business. 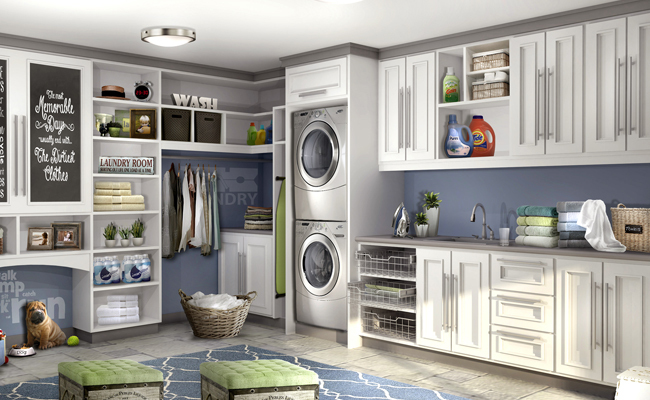 Your clients will continue to use your services for all areas of their home: closets, home offices, garage cabinets, entertainment centers, wall-beds, pantries, bookshelves, laundry rooms and more. They will also refer their friends and family to you. All of this is reason to consider building a future with us. Since 1983, Closet Factory has been providing clients with much more than custom closets. 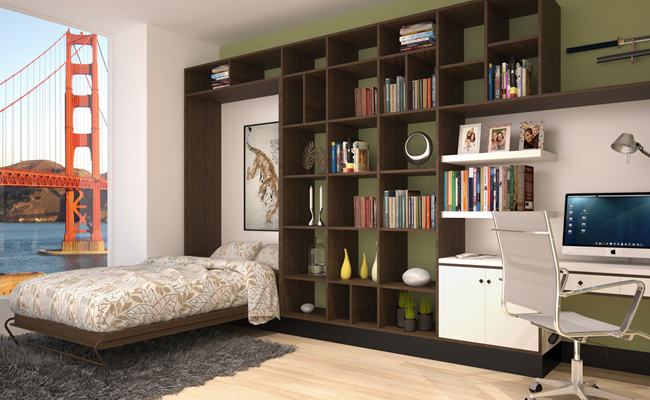 We design, manufacture and install custom storage solutions for every area of the home. Every single project is individually designed and manufactured after interviewing the client, measuring the space, taking inventory and creating a unique plan that is both functional and aesthetically pleasing. 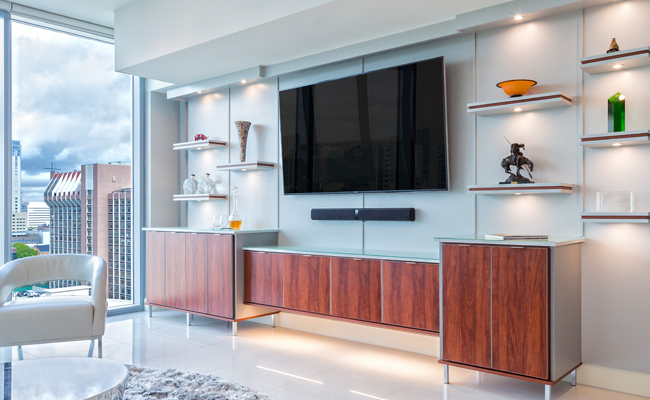 Our extensive selection of materials, hardware, finishes and design elements allow clients to create the solution that best suits their needs, budget, and aesthetics. They value the power of such deep customization, which is why repeat business is very high at Closet Factory. Explore the other areas of our website to see all of the exciting products, finishes and accessories you could offer if you owned a Closet Factory franchise. Closet Factory offers training that is unparalleled in the industry. First, you will come to our corporate office for two weeks of training to learn every aspect of the business; we will leave no question unanswered and supply you with comprehensive operations material that you can reference at any time. A national sales trainer will come to your location on your first day of business to provide two weeks of on-site sales, design and administrative training for you and your staff. This is followed by two weeks of on-site training by a national operations trainer who works with you, your factory staff and installers. Our proprietary software, ClosetWare™, manages every aspect of the business. It also allows us to help you maximize your results from effective advertising, attain robust sales numbers, and practice effective project management and contact management. Our corporate staff partners with you to achieve manageable growth, with the goal to become the leading closet company in your area. As part of one of the strongest franchise networks in the country, you will draw from our collective expertise and experience to reach any level of business you want. Closet Factory territories are large, often encompassing several counties surrounding a central major metropolitan area. Our territories are also exclusive: we simply will not allow another franchisee to do business in your territory. Territories are available for qualified candidates in many major metropolitan areas. Please contact us for more information. Like what you see and want to get started? Here's where you learn the next steps to owning your own franchise business. Our franchisees come from all different backgrounds. You do not need to have any woodworking knowledge; however it is helpful to have experience in sales, marketing or in managing a business. You should really enjoy working with and helping people, have a strong desire to grow your own company and commit to daily involvement in the operation of your Closet Factory franchise. The typical investment ranges from $203,500 to $353,000, which includes the Closet Factory initial franchise fee of $46,500. You should have a minimum of $150,000 liquid capital available (cash, savings, marketable securities, gifts, or any other non-borrowed sources). 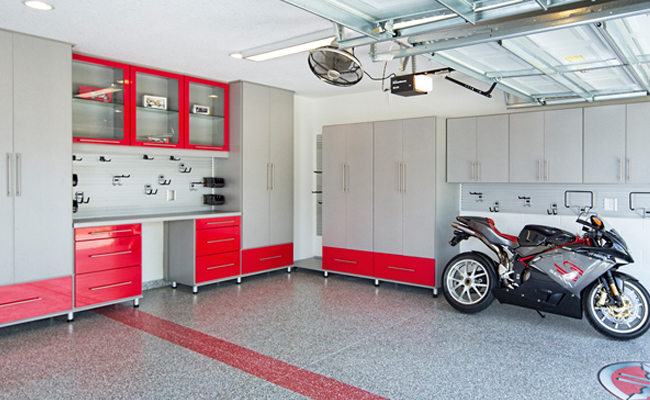 If you already have a cabinet shop and/or the necessary equipment, your investment could be substantially less. Request information to learn more!